The Australian Prime Minister, John Howard, is in the middle of an election campaign at the moment and I have just stumbled across a bloody good piece from Mike Ticher at The Guardian. Howard is a raging cricket fan and, like any dirty politician, attempts to misuse it to his advantage. Man of the people, and all that, when he quite clearly isn’t. Howard’s application of clunky cricket analogies to politics is as elegant as his bowling action. In the last election he claimed at one point his Liberal Party was “three for about 268 [in the campaign] but the right-hand opener is still there.” This time it needs several hundred to avoid the follow-on, and is wishing it had dropped the right-hand opener before the series started. Superb. But it gets better. Who’s coming to town? That’s right! Muttiah Muralitharan. Murali has two Tests before the election in which to snare the nine wickets he needs to overhaul Shane Warne as the leading Test wicket-taker. Howard has form. The last time Sri Lanka visited, in 2004, he was instrumental in Murali’s refusal to tour, when he branded the spinner a chucker with the words: “They proved it in Perth too, with that thing.” That thing, to be more technical, was the biomechanics test that showed Murali straightened his arm to an extent that was then illegal when bowling the doosra. Howard might have to bend the truth by only about, say, 14 degrees, to whip up a wave of anti-Murali sentiment. It is an edgy time. The visitors have already had anxious meetings about likely crowd reactions, and plain-clothes police are to be deployed inconspicuously (presumably dressed in body paint and watermelon helmets) to weed out the kind of troublemakers who have targeted Murali in the past. If Howard could only harness that sentiment, then hold up Warne as the iconic national figure who represents everything good about Australia . . . no, you’re right, he’s a goner. 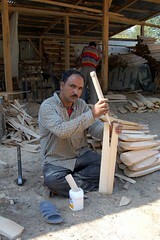 Have a look at this photo Cullen Bailey, the South Australia leggie. West Indies are in a period of transition. They have been for a decade and will be for at least another ten years. Clive Lloyd, in his biography, insists that a restoration to work ethic is instrumental to their fortunes if they are to rise again. Extract stolen from The Times. 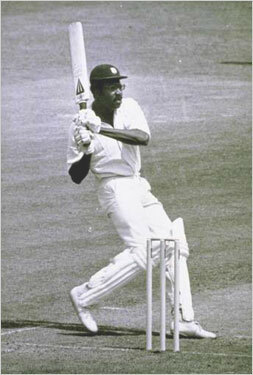 After Packer and World Series Cricket, Clive Lloyd returned to captain the West Indies in 1979. From that time until his retirement, the team were beaten in only three of the 47 Test matches in which they played, a loss rate of 6.4 per cent. In the next six years, when Vivian Richards was captain, that figure rose to 18.9 per cent, and under successive captains it has risen and risen till the wins and losses are almost a mirror image of what they were in Cliveâ€™s years. â€œThe greatest reason for the decline of West Indian cricket is that we became thoughtless,â€ says Clive. â€œToo many people assumed that we had a right to go on being great for ever. It was as if they believed that West Indians would always produce great cricket in the way that France is famed for its fine wine – a never-ending national institution. But life has changed for people in the West Indies, cricket has changed in the rest of the world, and we failed to appreciate those changes. â€œTo put it simply, the West Indies have lost for so long because there are not enough great players. Thatâ€™s obvious. But great players donâ€™t just turn up, they have to be shaped. What very few people seem to realise is that the Test team I had in 1975-76 was really no different from the one that there is today in terms of its potential. Fidel Edwards and Daren Powell can both bowl at 90 miles per hour. [Shivnarine] Chanderpaul and [Ramnaresh] Sarwan are both world-class batsmen. Our cricketers are free-flowing men. Early on, Viv Richards was a free-flowing guy, he got forties and never made big scores. But you knew once he had harnessed his talent and got the mental side of his game right, then he was going to be a class player. Gordon Greenidge took some time to get going, same with Michael Holding. All those guys came in and worked at their game. â€œThe great West Indies sides were shaped, just as this one could be. The problems we are having now are the consequence of a decade of letting the fruit wither on the vine. There have been big cultural changes in the West Indies. The regional cricket competition is not what it was. Our cricketers no longer play county cricket. The board has not used its authority wisely. The playersâ€™ expectations, what they want from the game, what they want from life, have changed. Above all, we neglected to plan for the future. â€œItâ€™s true that kids have many more things to do with their time,â€ says Clive. â€œIf you want to improve at your sport, you have to be dedicated, do little else, train hard and thatâ€™s less likely to happen when there are so many distractions. And if they have a job that pays a decent wage, theyâ€™ll be saying, â€˜Why the hell should I go through all this?â€™ In my time there wasnâ€™t much to do. Now you can fill your day doing all sorts. You can watch DVDs all day long if you want. That is why it is so important to catch them early. We must inculcate the right things in these children before they go down the wrong lane. We must get the structure to life there early enough. He pauses for a moment. â€œI think about todayâ€™s players and my overwhelming emotion towards them is not anger that they have been unsuccessful but concern,â€ he says. â€œWe did so well that everybody expects the West Indies teams to be like those of the 1970s and 1980s, but it cannot happen without hard work, attention to detail and respect for the game. I remember bumping into Simon Lister, friend of the blog and all-round good egg, at Lord’s the summer before last. 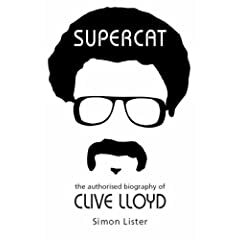 He told me he was writing Clive Lloyd’s biography…and it’s finally rolled off the printers (buy ). The book draws on candid and intimate conversations with Clive Lloyd, as well as interviews with many of the great names of West Indian and world cricket. Clive talks about growing up in the Caribbean, about slavery and race, about coming to England to play for Lancashire, about captaincy, about the changes he has witnessed in the game and about the present state of West Indian cricket. He has much to say, and it is always thoughtful and authoritative. Mike Atherton has been announced as The Times’ chief cricket correspondent, replacing Christopher Martin-Jenkins. 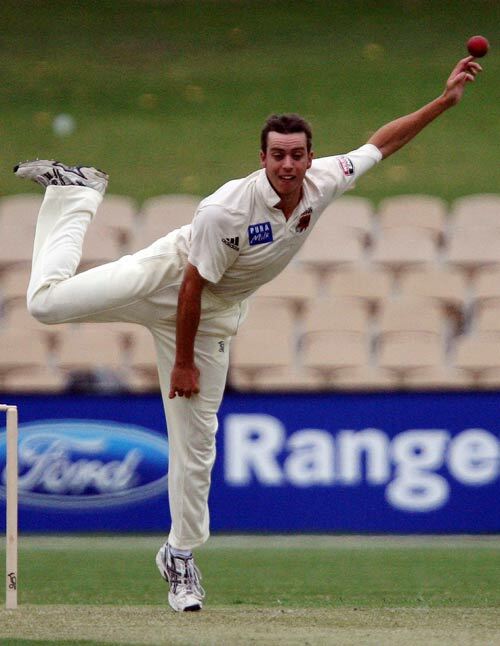 Atherton is the foremost player-turned-writer and, at 39, quite young to hold such a prestigious post. He’s by some distance my favourite writer, as he marries a deep knowledge of the game during his time as a player with the detachment required to write about it. The Times is also my favourite paper, so now there’s no reason to waste any more money on The Telegraph. Storm in a dusty old teacup? Much ado about nowt? Sure, itâ€™s a pity two such admirable cricketers continue to lower themselves by perpetuating something that should have been forgiven and forgotten long ago. On the other hand, this is a grave time in our planetâ€™s history. An age where, courtesy of the expansion of the media, the ability of gossip to spread at the speed of light and the evolution of litigation, the number of durable and entertaining feuds feels perilously close to an all-time low. (Oh my Oasis and my Blur of not all that long ago.) The giggles, therefore, are not unwelcome. Quite so, and long may they feud.